Profit is essential to every business’ sustainability and a key measure of success. There are many changes you can make to help grow profitability, beyond simply increasing revenue and decreasing costs. In this document we identify 10 simple and practical ideas to drive growth in your business. The faster you make changes, the sooner you will start seeing positive results! 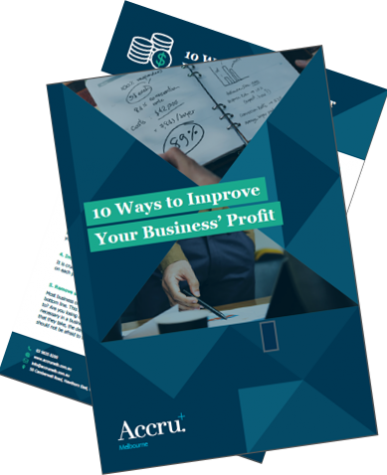 10 Ways to Improve your Business' Profit.